Manchester City drew level at 1-1 in France on Tuesday night against Lyon, thanks to a superb Aymeric Laporte goal. Pep Guardiola’s men fell behind in the Group F Champions League fixture early in the second-half when Maxwell Cornet found the net, but they managed to hit back quickly to set up a turbulent final twenty-five minutes. 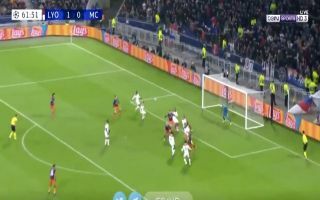 Raheem Sterling whipped in a delightful free-kick from the right-hand side of the pitch on the 62-minute mark, which was headed into the path of Laporte, who directed a bullet-header into the Lyon net. The Frenchman now has three goals in all competitions this term and as things stand City will be through to the knockout phases with a game to spare. Check out the superb header below via Twitter.